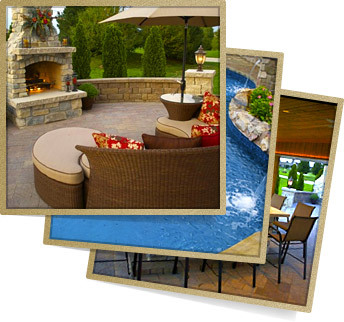 Outdoor Systems Inc. provides professional design and installation of a complete back yard space, from swimming pool installation, to hardscape and landscape. 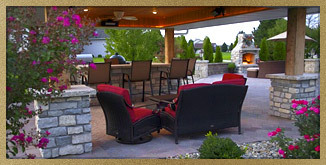 We also install complete outdoor rooms with a separate pavilion area, or even a covered porch attached to your home. 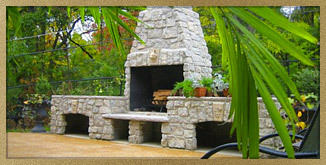 We specialize in custom build fireplaces and paver patios, pool decking, walkways and driveways. We can complete all aspects of your outdoor space, from the retaining walls, where necessary, to the finishing touches of the lighting and fencing around your space. Outdoor Systems is at the forefront of hardscape and poolscape installation, as well as installing the latest technology in pool equipment. We love to be creative with your backyard space, and offer a full service company, complete with 2D and 3D design technology to help you envision your space before it is built. We strive to listen to exactly what the customer is wanting to design a space that suits your needs and lifestyle. 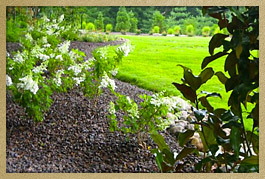 We really enjoy what we do, and are constantly striving for excellence, and warranty our work from the ground up. Ask Us About Belgard's Preferred Payment Program, 12 Months same as Cash! With Zero Payments & Zero Interest On qualifying Projects from $1,000 to $45,000. Outdoor Systems Inc. trained installers are certified through ICPI (Interlocking Concrete Paver Institute) and the NCMA (National Concrete and Masonry Association). Our installers are also trained through the Latham International for pool installation. In 2009, Outdoor Systems Inc. moved to a new location just off Route 158 in Columbia, IL. We combined the shop and office together and soon will be adding customer displays of various hardscape materials, pool materials, and fireplaces. Outdoor Systems, Inc. specializes in Frontier Steel Wall Pools. Frontier Pools are vinyl-lined and available in a variety of shapes and sizes that allow you, the homeowner, to customize the pool to fit your needs and style. Steel Wall pools can also be built in any shape or size. 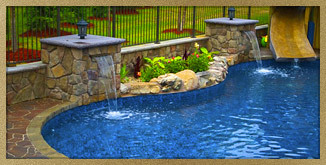 Frontier Pools offer quality craftmanship, while Outdoor Systems, Inc. ensures a quality installation. The steel walls are backed with a lifetime warranty, and the vinyl pool liner is smooth, yet easy to maintain.